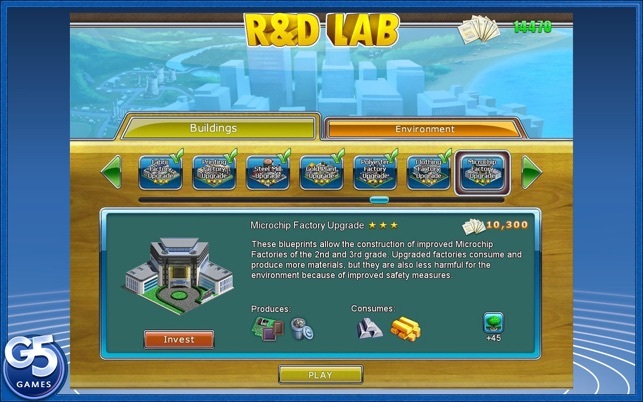 The immersive free-to-play version, Virtual City Playground®: Building Tycoon, is already live! Don't miss out! Search for "g5" in Mac App Store! 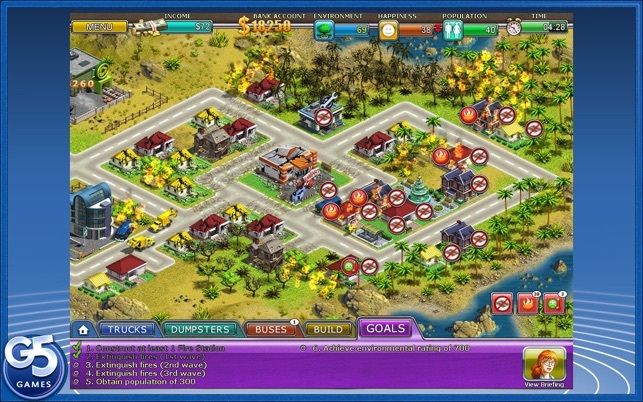 Build the city of your dreams in this city-building hit! To me, Sim City is one of the all time classic computer games and this is the closest thing you'll find to it on the Mac App Store. Just to be clear, this is MUCH different then Sim City and is all about time mangament, not city management. 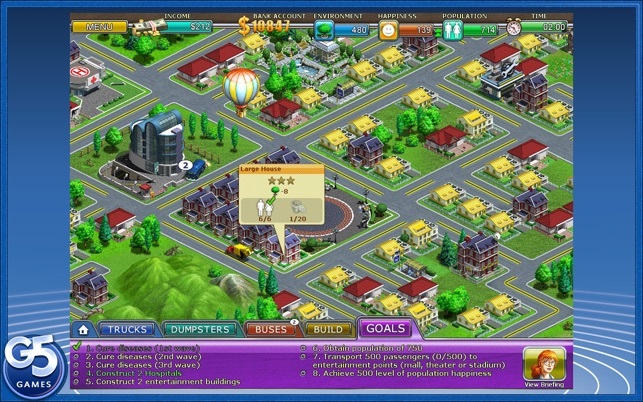 While you do get to construct your own city, your main responsiblity is to conduct traffic by setting bus routes and truck routes. There are over 50 levels, set in 4 different states, and it takes around 15 hours to get through the the entire game, not including the 4 sandbox (free play) levels. Overall, a good game. Just not Sim City. When are we getting more levels?? 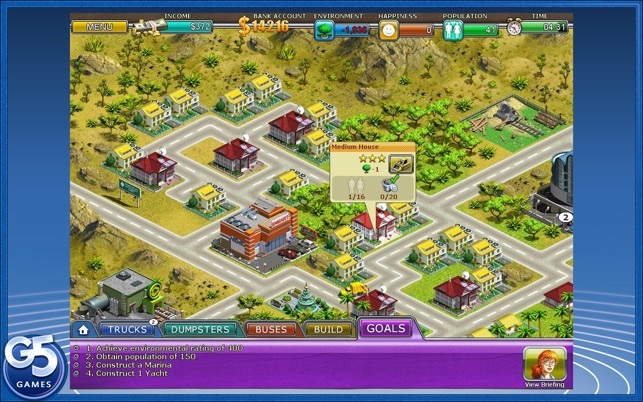 When you first start playing this game, you are shown a map of the United States, and you begin to complete challenges in one particular state. Once you complete the challenges in that state, you move on to the next state. I was under the impression that I would have 50 states to complete, however, within a few weeks time, after completing only a few states, suddenly the game ended! There were no more levels to complete! I think that for $6.99 this game ought to provide more than just a few weeks of entertainment! 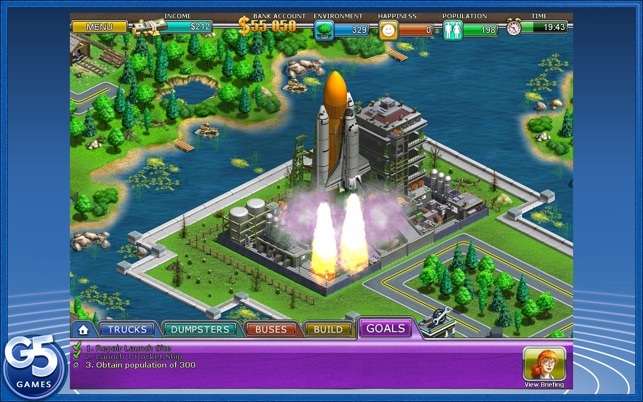 I intially discovered this game while doing a search for SimCity in the App Store. This game is NO SimCity, but at least it was entertaining (while it lasted). When are they going to produce a new version of SimCity for the Mac?? This was a great download for me and my teenagers, who really enjoy sitting down and playing this game. Just be sure to have the time to sit down, as it is very fun and time can fly by. I have only walked through the tutuorial, which is helpful and fun in itself. I would definitely recommend this to gamers who enjoy a running a civilization.